So, basically, when I found this recipe, I nearly jumped for joy. While I love drinking my green smoothies for breakfast (they seriously make me more alert than any cup of coffee), the thought of swapping them out for pumpkin that looks like a milkshake wasn't even worth pausing to consider. Done. Let's drink them every day through the end of the year, shall we? 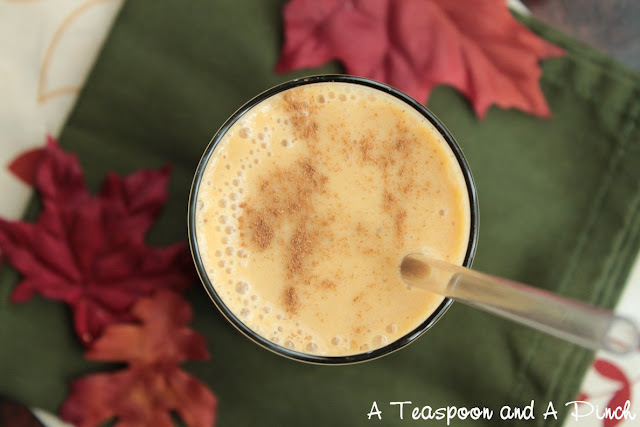 The recipe below is a perfectly pumpkin version of a regular breakfast smoothie - and you can absolutely doctor it up with protein powder and/or chia seeds (I added both) - but if you're looking for a pumpkin milkshake instead, it's easy peasy. Freeze your pumpkin along with the banana to make it thicker. And add in a tablespoon or two of maple syrup to make it sweeter while you're at it. Voila! A pumpkin milkshake that requires zero guilt. Place everything in a blender and blend until smooth. 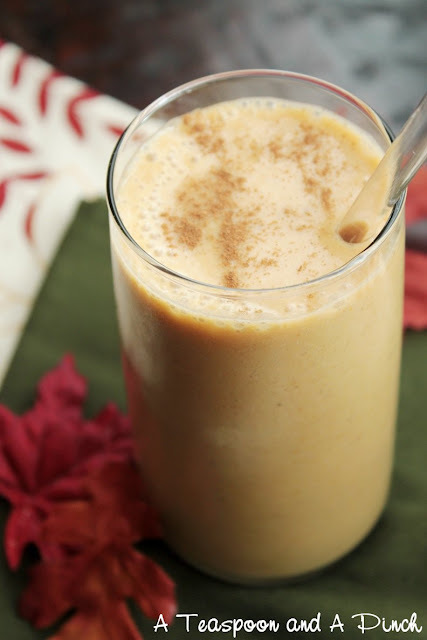 Pour into a glass and sprinkle with cinnamon to make it pretty! Makes one 16oz. smoothie. I am so making this! 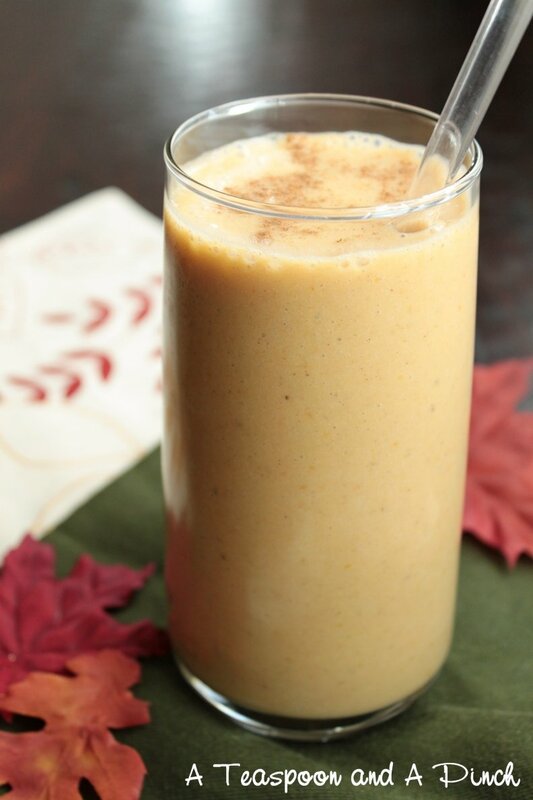 Fall pumpkin smoothie sounds incredible. Thanks for sharing Sara. 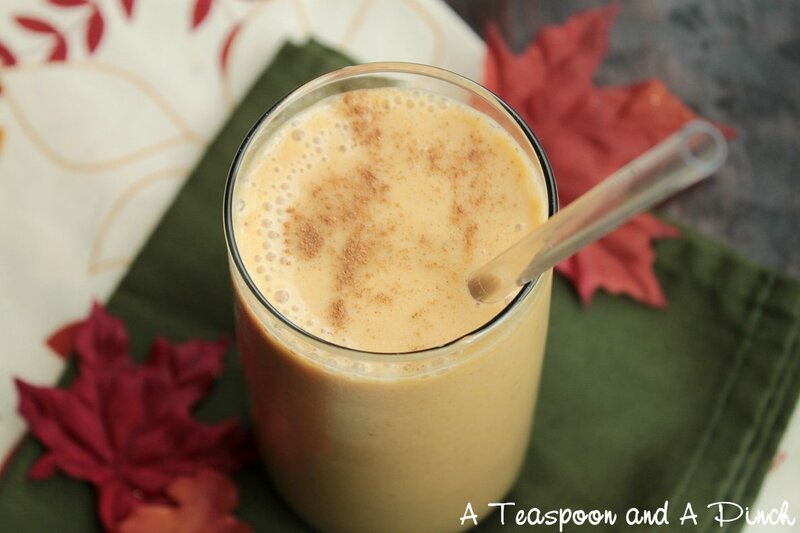 I love pumpkin..thanks, will make this for the Ladies Club. I love Pumpkin anything!! will be making these all season!